Midtown Stationers Office Products (MSOP) is strictly a Business-to-Business provider of over 27,000 items of business products for next business day delivery. 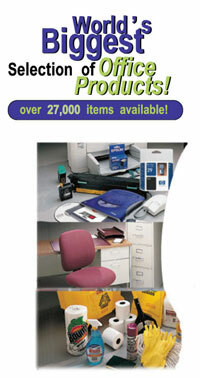 MSOP sells office products directly to corporate, government, small, and medium-sized businesses. MSOP’s experience, dedicated staff, and management are committed to the long term success of your business. As your procurement partner, we are here to cut cost and improve your productivity and save you money and time. Our goal is to make your business work more efficiently. We offer over 27,000 items, the world’s biggest selection of office products, anything you need for your office we have it all.